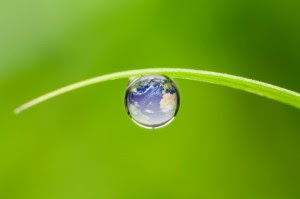 Water is our most precious resource and sustains all life on earth. Yet there is now no doubt that this lifeline is no longer assured for future generations, and it is generally thought that a global water crisis is imminent. Already, many countries are suffering from shortages of water or degraded water quality. In addition, it is clear that the present practices of humans are damaging our freshwater ecosystems and reducing biodiversity. If these practices continue, the future of life on earth will be threatened. We do not value our blessings from Mother Earth and have abused it beyond repair. The warning bells are everywhere – we are on the brink of an environmental catastrophe. "The world is now beginning to feel the first pangs of a more chronic and systemic water crisis" (World Water Vision Commission Report).